It has yet to be seen whether defendant Dharun Ravi takes the witness stand in the Rutgers University webcam spying trial, but the jury heard from him directly Wednesday for the first time when prosecutors showed an hour-long video of his police interrogation. Ravi is charged with multiple counts of invasion of privacy, gay bias intimidation, witness tampering and hindering prosecution. For nine days, a national television audience could only view him sitting quietly in a business suit, at the defense table in a New Jersey courtroom. But on Tuesday they saw him – and more importantly, so did the jury -- looking very much an 18-year-old, wearing a t-shirt and sporting a bushy head of hair in a Rutgers Police interrogation room. That was Sept. 23, 2010, the night after Tyler Clementi leaped to his death from the George Washington Bridge. Composed throughout the questioning, Ravi recounted the events of Sept. 19 -- how Clementi asked him to leave his room, how he had set up his webcam to spy on the event that evening. And how Ravi had planned to webstream a second encounter between the two gay men on Sept. 21. But his statements to police appear to help his own cause just as much as support the state's charges against him. He remained calm even when the investigator told him he was lying. After seeing Clementi's older visitor, Ravi said he felt "creeped out" by the man and his beard and his age. He wondered if he would be "looking through my stuff." In short, Ravi, who shared a room with Clementi, told police. "He was creepy looking … I just got a bad vibe from him." When he turned on the webcam remotely to view the two men, he saw them kissing. "Shocked," he immediately turned off the webcam after "a few seconds." "I didn't realize it was something so private," Ravi said. "It was my room, too… I don't want him to think I was spying on him. I don't know who would want to see that." John Fahy, a criminal defense attorney and former New Jersey prosecutor, sees it this way: "The taped interview of Ravi helps both the prosecutor and the defense. Ravi does not come across as hate-filled or homophobic. He does not look as if he is hiding anything, and he volunteered to give the statement. He comes across as a typical naive college freshman." Ravi, it turns out, agreed to the interview without first checking with his parents, according to testimony. When his father later showed up at the station, he demanded that Ravi stop talking with police until a lawyer was present. Police persuaded him to continue, saying, "You're an adult, so it's up to you." Ravi, 18 at the time, decided to end the interview and meet with his father, and the interview was terminated. But Ravi's responses regarding Sept. 21 may prove helpful for the state's case. When pressed by his police interrogator about how Ravi had invited friends to watch a second webcam viewing that night, Ravi said, "I was joking around saying kids here were going to have a viewing party." "You do a lot of joking," his interrogator observed. "When I'm uncomfortable about something," Ravi responded, "I joke about it." In fact, he told police, he pointed the camera back to his own bed and turned off his computer so it wouldn't happen. But the prosecution has asserted it was Clementi – not Ravi – who turned off the computer. And they produced a witness who said he helped Ravi arrange the webcam so it was pointing at Clementi's bed before the scheduled date. "This is a big problem for the defense," said Fahy. "The defense is going to have a hard time getting the jury to believe that the second attempted viewing was not a premeditated invasion of privacy. If he lied in any of his answers, this will hurt him." As Fahy points out, this could prove to be a critical piece of evidence regarding the more serious charges against Ravi – bias intimidation, a hate crime that could put him in prison for up to 10 years. If the jury believes he was lying about the second incident, they could also conclude he is lying about his intentions – that he had concerns over theft of his belongings. In short, his aborted act of spying could prove much more damaging than his earlier, actual act of spying. 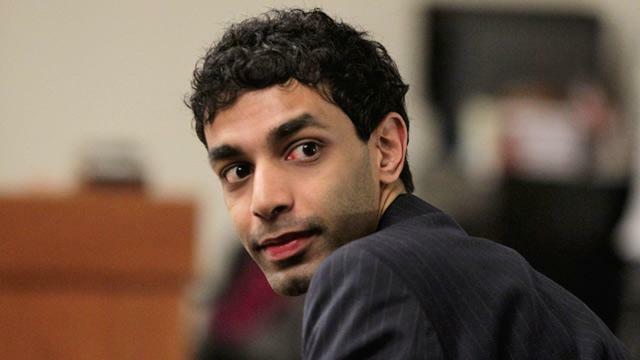 Ravi's lawyer, Steven Altman, used the opportunity to enter a counter argument into evidence, a message Ravi sent to Clementi on Sept. 22, after he learned Ravi had requested a room change: "I've known you were gay and I have no problem with it. In fact, one of my closest friends is gay and I have a very open relationship. I just suspected you were shy and never broached it as a topic." "I don't want your freshman year to be ruined because of a petty misunderstanding, it's adding to my guilt. You have a right to move if you wish but I don't want you to feel pressured to without fully understanding the situation." The lead investigator in the Middlesex County prosecutor's office is expected to testify Thursday and the state could very well rest its case by week's end.